Catch Notes, the popular note taking app, has been updated to v5.0, with a number of improvements that make it easier to quickly take notes and collaborate with other users. 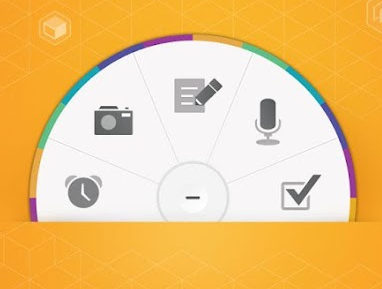 The most obvious addition in this latest update, which is only available for phones at the moment, is the introduction of the Catch capture wheel. 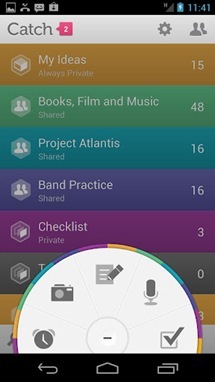 The capture wheel is accessible from the bottom of the screen and allows you to create new voice, photo, and text notes with one tap. 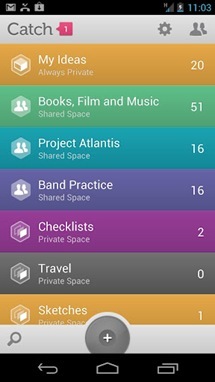 In addition to this, you can also use checklists in the new version, to help keep track of things that need to be done for certain projects. 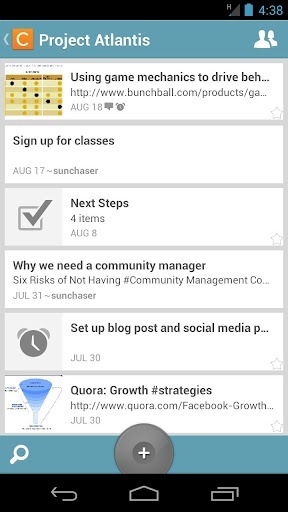 These checklists can be shared with other Catch Notes users to help you collaborate on ideas. Location tagging has also been added, to help you remember important places. Existing users can download the update from the Play Store now. If you haven't used Catch Notes yet, you can download it for free.